This pattern is designed for the average adult sized woman head. Width can be easily adjusted by chaining more or less. Fdsc 52 or ch 52 very loosely and join with sl st. 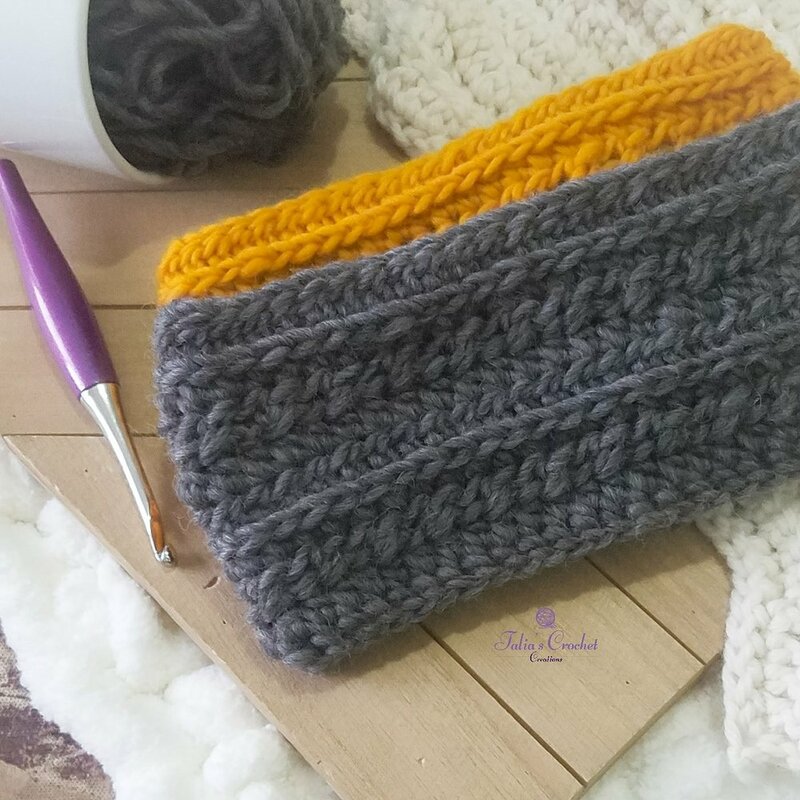 This can be modified to your liking depending on how big or small you would like your ear warmer to be. Add more chains for bigger size; subtract for smaller size. Chains must be in multiples of 2. I would love to see your projects, feel free to tag me on Instagram (@taliacrochetcreations) and or Facebook - Talia's Crochet. 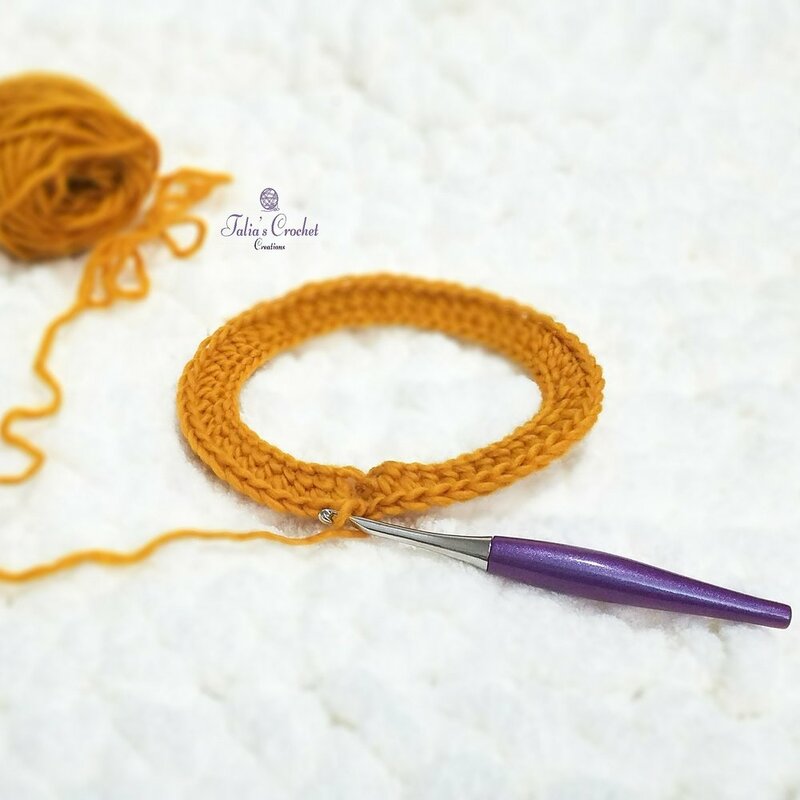 This pattern and all images are property of Talia's Crochet Creations. Alterations, copying, sharing, or selling of pattern is not permitted. This pattern is for personal use only.